Parking is free on weekends, weeknights and public holidays. Please take note of all signs regarding Loading Zones, No Standing and Disabled Parking. We would hate for you to receive a ticket while you were attending a service, and the restrictions do apply and are enforced even on weekends. Use the red dotted line on the map to find your way to the Religious Centre. 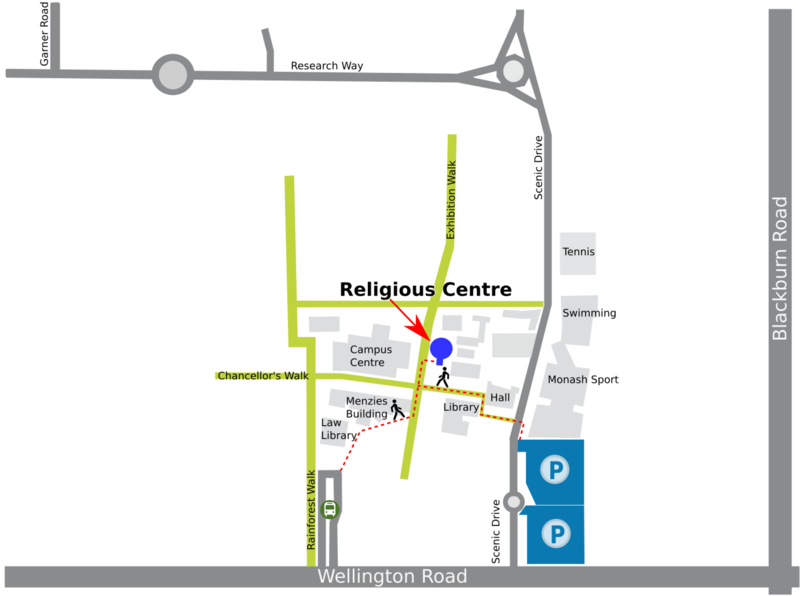 After alighting from the bus at Wellington Road, use the red dotted line on the map to find your way to the Religious Centre. Please provide your email so that we can get back to you. Your message will be sent to Fr. Geoff.